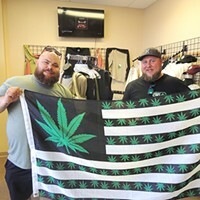 The Charlotte branch of the National Organization for the Reform of Marijuana Laws (NORML) works to expand the legal right to plant, grow and consume cannabis. 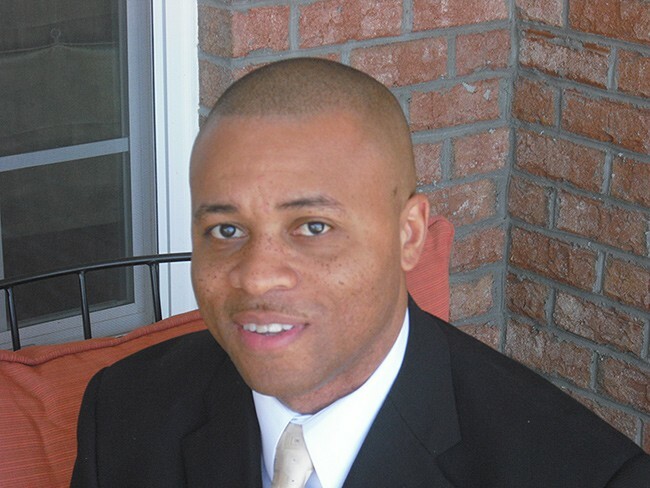 Corey Hedgepeth, newly appointed executive director of Charlotte NORML, spoke with Creative Loafing about why expanding legal access to cannabis is about more than getting high. Creative Loafing: Tell me a little bit about Charlotte NORML. 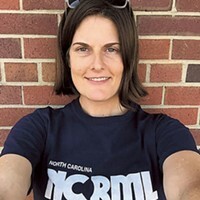 Corey Hedgepeth: Charlotte NORML is an organization that really wants to bring about education for cannabis to the state of North Carolina and also bring about awareness about the benefits of cannabis. What we'd really like to do is reform the laws surrounding the stigma of cannabis, so it won't be so incarcerating or so limiting for the people who should be able to gain access. What are the biggest challenges you face in North Carolina and Charlotte specifically? The biggest thing we see in Charlotte as well as in the state of North Carolina is the stigma surrounding cannabis. We are in an area where we still look at cannabis as a gateway drug. I think that what North Carolina and Charlotte eventually need to do is what we've seen some of our 30 neighboring states do, and that is bring to cannabis an adult perspective of people self-managing themselves, and not so much looking at it as a gateway drug but understanding that alcohol, beer, liquor, cigarettes, nicotine can be gateway drugs to something else if you really look at it. Yet cannabis can potentially bring some health benefits to both children and adults. What we have to do is get around the stigma of the cannabis industry and really give it an opportunity to move forward and bring other things of benefit to the state and Charlotte. What are the biggest misconceptions you come across in your work? The biggest misconception that people have is that people just want to get high. It's not that case because, when you take a look at what's going on across the country, there are people who are uprooting their families and moving to different destinations across the country or different states in an effort simply to get medical assistance for things such as being able to sleep at night, or because they have insomnia, or their child is suffering from epilepsy and they've seen a great reduction in the epileptic seizures. Whatever it may be, they really want to be able to alleviate it and be legally able to do so without the potential of incarceration. Is it hard for people to take Charlotte NORML seriously because of that misconception? People are afraid to really be advocates for what they really want. More than anything it causes them to just sit on the sidelines and wait for it to eventually happen — legalization. There's a lot of individuals who don't really want to put their name to it because of the stigma that's still there. There have been a number of different research polls, one specifically out of Elon College, that really showed that 67 percent are saying yes to at least medical forms of cannabis, but you may not see 6.7 people out of every 10 be a part of an organization. We're trying to get rid of that stigma so that that changes, and people are more open and supportive. What would you tell those people? What I would say to them is, be more supportive of your different organizations like NORML. A lot of individuals can be members of NORML and you not ever know that they are members of NORML. When they're a part of NORML, they attend meetings. They're seeing some different concerns addressed. They'll see some different benefits from people who really need medical cannabis. They can be silent members of NORML and still be educated, understanding exactly what the focus is — toward changing laws. And they become more educated, so when the topic comes up, they can speak to the issue from a very adult, mature and professional perspective. Is the legalization of medical marijuana NORML's biggest priority right now? If you look around at medical marijuana right now, a couple of things are taking place: First of all, it gets rescheduled so we won't see mass incarceration for non-violent offenses surrounding medical marijuana. The second thing is that it'll give access to people who may not be able to participate financially in the pharmaceutical or medicine end of it. There are individuals out there who may have PTSD, who may have anxiety or depression, that can't really afford that $150 or $250 tab every single month at a CVS pharmacy or whatever it may be. The next thing that cannabis would do is what we've seen in other states as well. The tax revenue that would be collected from the sales of medical marijuana would go a long way to helping some deficits that we're seeing here in the state of North Carolina and even put that money into our teachers, put money back into our roads and infrastructure. And finally, as we've seen throughout other states, it would bring back the energy and vibrancy of entrepreneurship because there's so many entrepreneur efforts that are creating jobs in certain communities that otherwise wouldn't have been fueled through job creation. What does the membership of Charlotte NORML look like? A lot of times when you come to our meetings you'll see people who have multiple sclerosis, who have found cannabis to be helpful, so they have personal stories. You'll find individuals who have moved to North Carolina from other states where it was legalized and now they feel the disconnect of not being able to access the medication they used before. You'll also see from time to time people who are running for Congress come through and actually sit in our meetings and listen to some of the verbiage because in upcoming elections you're going to hear more and more the topic of legalization of cannabis. So, a lot of the candidates will need to know what some of the concerns of the people are and when the topic comes up what they may be faced with. We are seeing our membership pick up more and more, and we're seeing a reflection of the growth of interest and the real desire of individuals for medical cannabis to be part of North Carolina's regime. How does Charlotte NORML work to address the needs of different communities of cannabis users? We have meetings that are diverse. We end up having those conversations of course about the disparity between incarceration behind the substance of cannabis. We have to understand that individuals are using medical cannabis and it doesn't matter the race; we're all in the same position because no matter the race, there are people who have epilepsy of all races, people who have PTSD of all races, anxiety, depression, migraines, which stretch across all races. So, when it comes to the black community and the white community, I think that what we have to do in North Carolina is focus on something we have in common. Say, "Listen, this is how cannabis helps us all." How will you be spending your 4-20? We'll be at Lenny Boy Brewery this upcoming Friday, with art vendors and raising awareness in a professional way. That's where we'll be. But leave your herbs at home! We'll congregate and talk and really help people understand where they can go for information, how they can become members of NORML and where they can go to ask questions. What's the biggest ray of light and hope going forward for you? The biggest ray of light is how we've seen medical cannabis used to help people recover from opioid addiction. It's used like the opposite of a gateway drug, and it's really helping people recover from serious opioid addictions. Another ray of light is that we are seeing growth. One of the biggest things for us is that there continue to be bills put in the House and, when it comes to North Carolina, the hemp industry is really on the rise and doing well and bringing back an industry where they can create fiber. And you're also able to extract CBD oil, which may have some healing properties. The thing I would like to say is to be vocal, get in touch with your local NORML organization, Charlotte NORML, and become a part of the movement. Become a part of the education so that when someone asks you about the industry, you've got some real information that you can disseminate out to others, so you can help this industry become a reality for everyone in North Carolina.